Apple announced the LG 27-inch UltraFine 5K Display alongside a 4K monitor at the MacBook Pro Touch Bar 'Hello Again' reveal event back in October. Now the 5K display has reached 'retail' and is orderable online at Apple.com for $974 (£884 in the UK). Please note that orders won't be fulfilled for approx 2 to 4 weeks. LG's specially made 27-inch UltraFine 5K Display offers users "a stunning 5120x2880 resolution and P3 wide colour". The 'retina' style high pixel density display brings images and videos to life with the wide colour gamut and 500 cd/m² of brightness. Used with a MacBook Pro, in MacOS, it is simple for users to adjust monitor volume and brightness without the need for physical buttons. 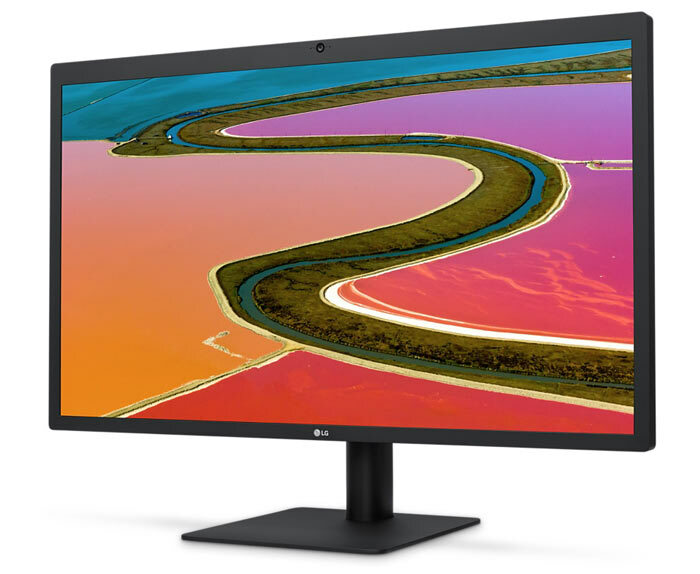 As it is targeted at users of the new MacBook Pro machines, LG's 5K display exclusively offers Thunderbolt 3 connectivity. This 14.7 million pixel packing monitor uses a single provided 2m Thunderbolt 3 (USB-C) cable, which supports 5K video, audio and data simultaneously - all while supplying up to 85W of charging energy to your MacBook Pro. There are three further USB-C ports (USB 3.1 Gen 1, 5Gbps) available. LG's monitor uses a built-in PSU, so there isn't a power brick to be seen. The monitor bezel features a built-in camera and microphone, plus stereo speakers. While the monitor comes with a stand it is VESA mountable too. In one more Apple Mac related news nugget, company CEO Tim Cook posted a message on an employee message board insisting that Apple is still committed to desktop computers. As TechCrunch reports "Some folks in the media have raised the question about whether we're committed to desktops," wrote Cook. "If there's any doubt about that with our teams, let me be very clear: we have great desktops in our roadmap. Nobody should worry about that." The new Macs will bring the generally improved performance you see in desktop computers plus a greater variety of I/O. It's not sure which desktop Mac range will get upgraded first. Looks at the price, laughs, carries on. 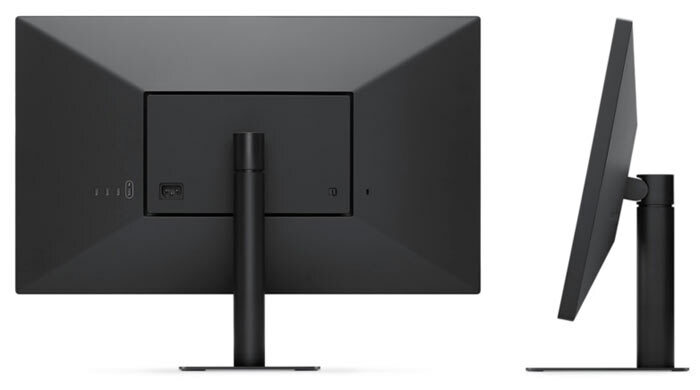 By now ALL monitors could easily jump to this res but the $$$$ means that we're stuck with bull crap displays offering little shiny advancements for maximum $$$. Obviously this is how business works but it's getting really, really annoying. 'retina' being ONLY a marketing word created by Apple to move more stock. Purchasing managers at content creation companies begin to sweat at the incoming departmental requests for new monitors. Actually the price is surprisingly in the right ball park with a colour accurate 4k monitor. Yes you can 4k displays for a couple of hundred but they're usually tn which is pretty useless for designers who need accurate colours etc. How well will a new MBP cope with its own screen (5MP) AND this 5k screen (14MP)… It seems like a LOT of pixels for a Radeon 450 or 460. I wonder if they'll start integrating graphics cards into monitors of this scale in the future?